Industry leading personal and commercial lines workflows that intuitively bring sanity to your workday. Reduce the number of steps it takes to complete the actions your agency engages everyday. HawkSoft sets the industry benchmark for simplicity in personal and commercial lines workflows. Insurance and risk management is complicated, but your workflows don’t have to be. Every click matters because your staff depends on efficiency to provide stellar service. Access client and policy data in HawkSoft in 4 clicks or less. 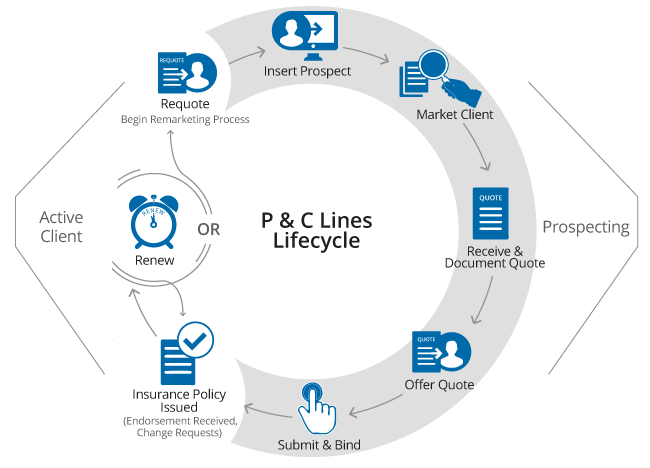 Reduce back-office work with features specifically designed to help agents save time with servicing personal and commercial LOBs. We absolutely love HawkSoft’s activity, notes, workflows, and their knowledgeable people. The ease of your workflows is top notch. HawkSoft deploys a unique method of documentation that standardizes recordkeeping and operational procedures while also reducing E&O exposure. Our proprietary, auto-documenting Action Menu is a hallmark feature that automatically builds a documentation trail of every client interaction. Documentation is no longer another step to engage. Instead, documentation becomes part of the actions you engage to service the customer. This is unique compared to other systems and something our agencies can’t live without once they’ve witnessed the simplicity of our system. Define required fields. The system warns users if designated fields have been left blank when inserting a new policy or updating existing ones. Customize LOB titles to client specifics, per carrier (i.e. BOP, Wealth, Dental, Motorcycle). Reduce back-office work with features specifically designed to help agents service personal and commercial LOBs. HawkLink - a revolutionary tool to automatically flood client/policy information into carrier websites or other services like Zillow, Google Maps, and county assessor websites. Simplify commercial and agricultural LOBs with our Coverages screen where agents can easily see all locations, buildings, coverages, and additional interests for each LOB. 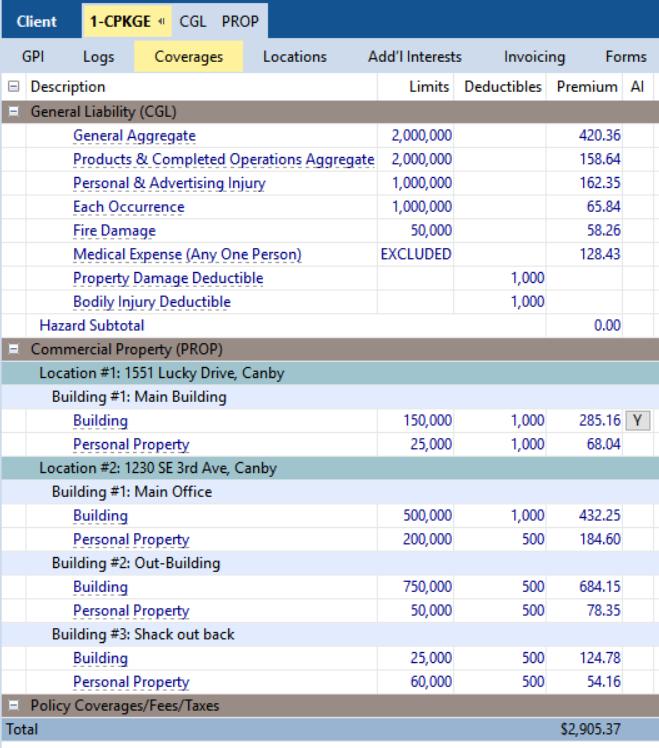 You can also auto-populate default coverages from the Policy/Company Setup. Our Certificates of Liability workflow (also known as Certificates of Insurance or COIs) is the easiest in the industry. A Certificate Wizard walks you through each step, providing an accurate flow of information to the certificate, attachment of carrier endorsements, emailing of signed certificates, customization of the certification, and input of a different description of operations for each certificate holder.